Single Story, ground floor unit. 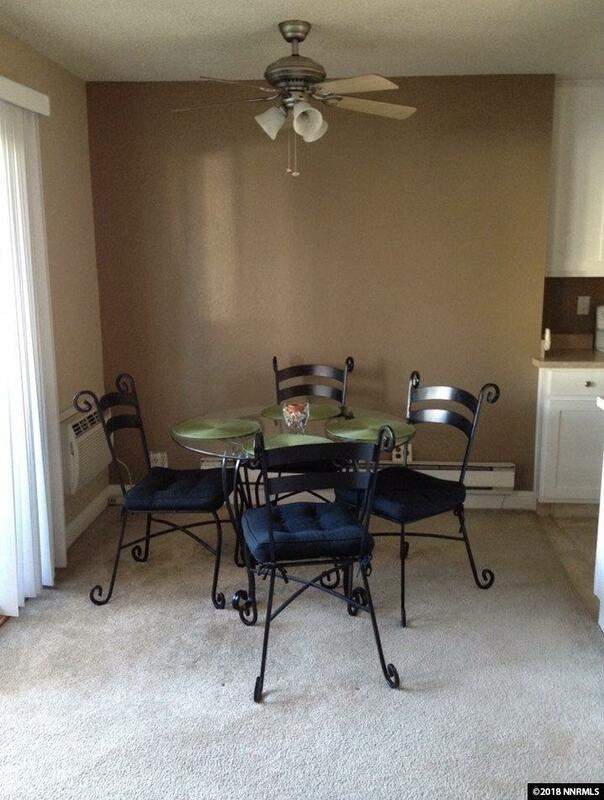 This unit has newer cabinets, counters, appliances, flooring and Alarm System. Newer Washer, Dryer and Refrigerator are included with sale. Hot water heater has been replaced, plus new interior doors being installed. Close to UNR, Freeway, shopping. Pool, Water and Garbage included in HOA dues.Parking space right in front of the unit and there are extra parking spots available. Quiet neighborhood and units are well maintained.